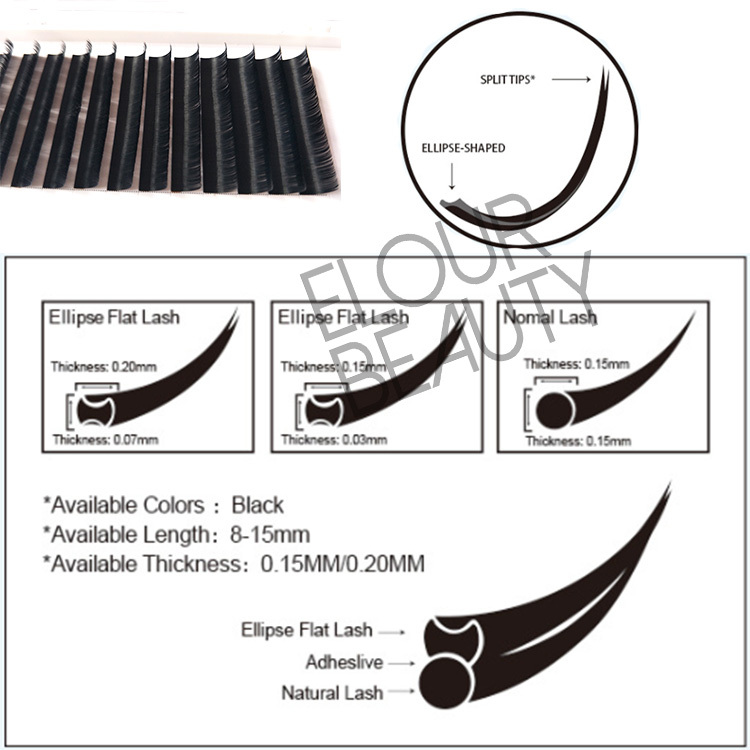 OEM full set double tips Ellipse flat eyelash extension London.Eyelash extensions with oval shape for each hairs,super soft,so the space to the natural hairs is small,so less weight to the natural lashes.And this ellipst flat eyelash extension,the hair tip is split,with double tips,matte color and much softer.We do full set in B,C,CC,D,DD,J,L,U curls in 6-18mm length,0.15,0.20mm thickness for different choices.We do OEM,your own brand.And our ellipse flat eyelash extensions well popular in London,are many used in the eyelash extensions salon due to the high quality and long lasting curl and low price. 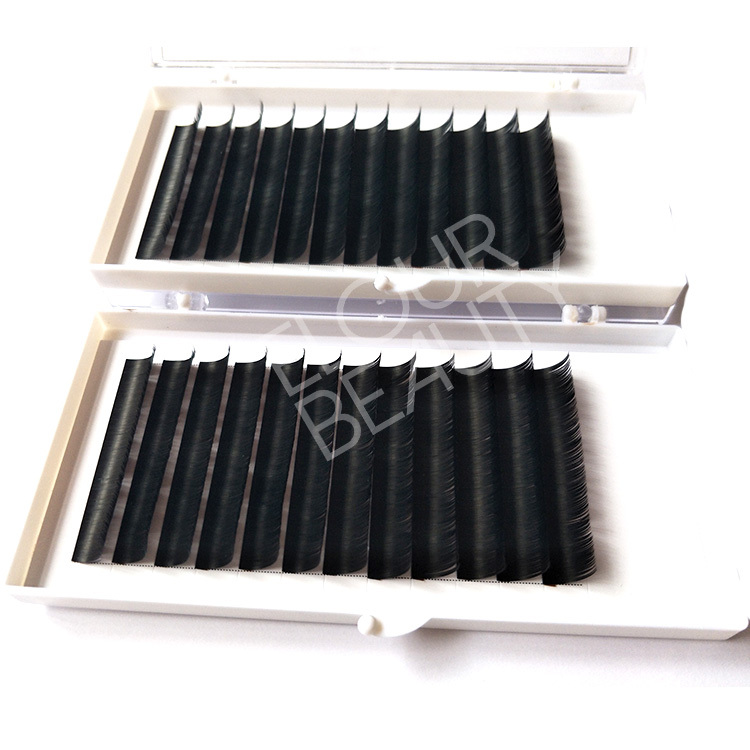 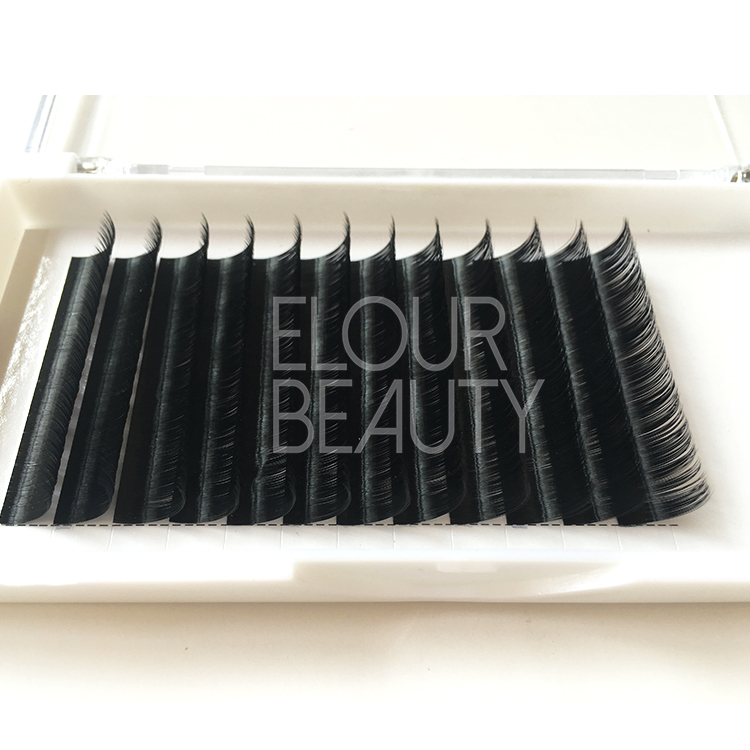 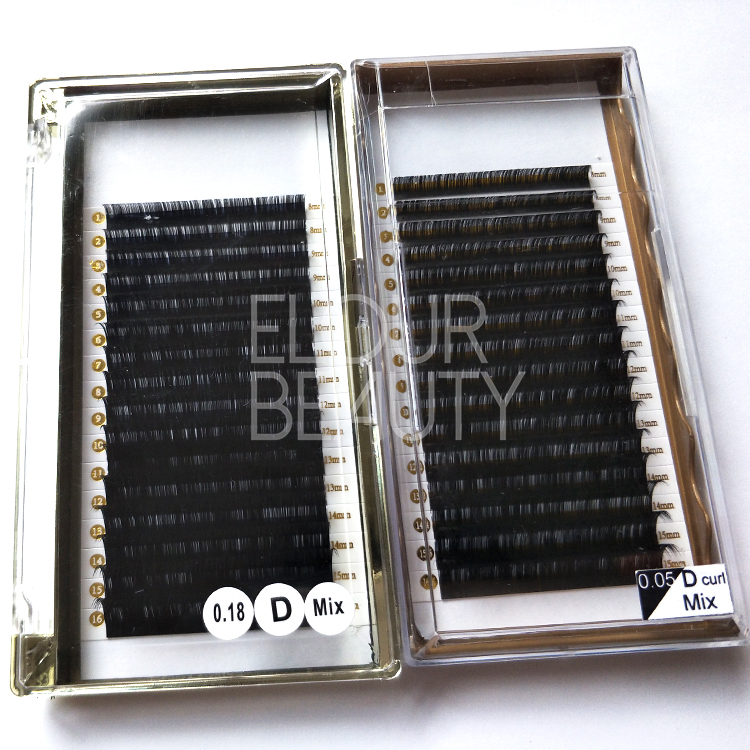 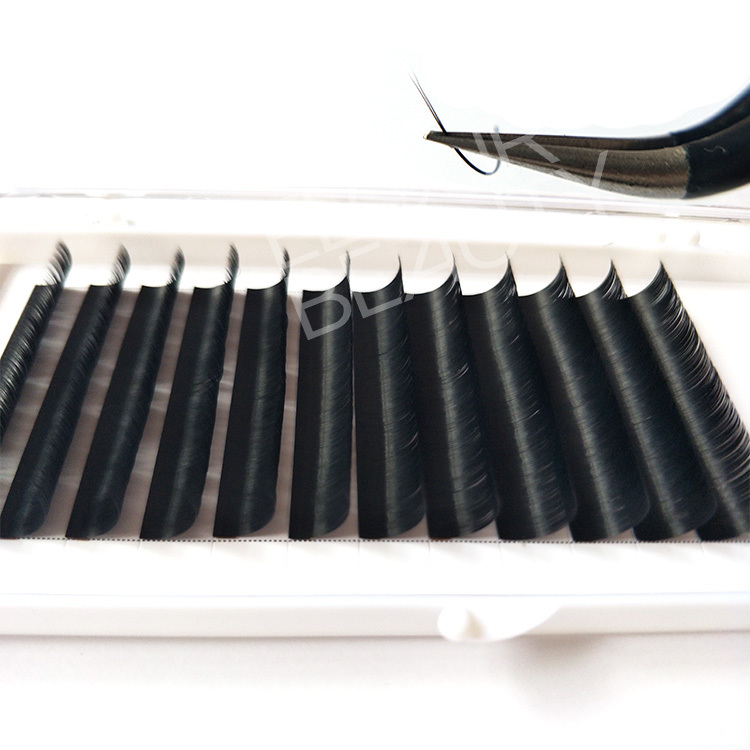 Ellipse flat eyelash extension 12lines per tray,each hair is split tip,has the flowering effect,more beautiful and easy to use. 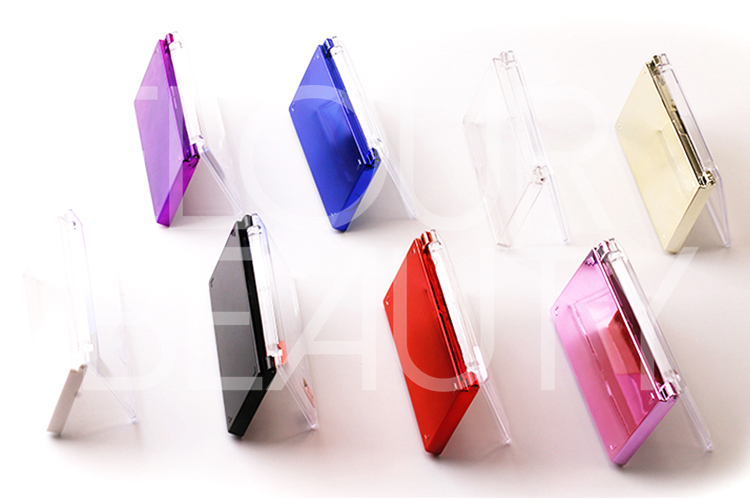 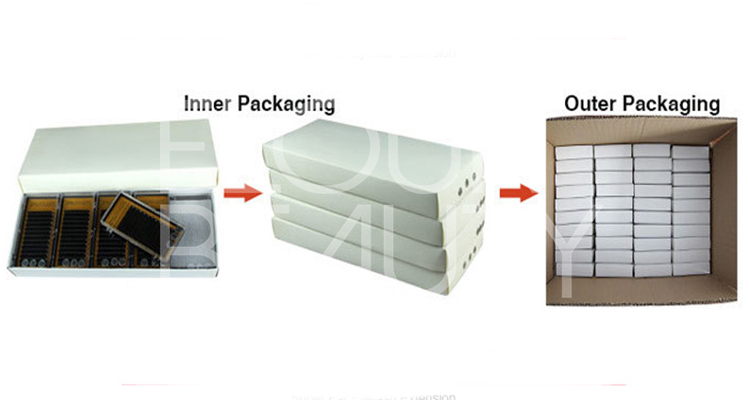 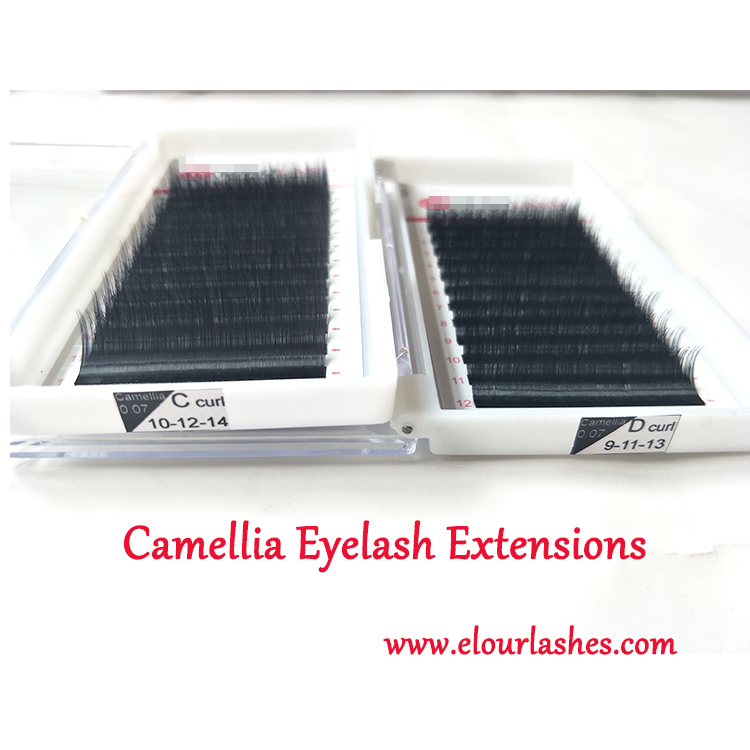 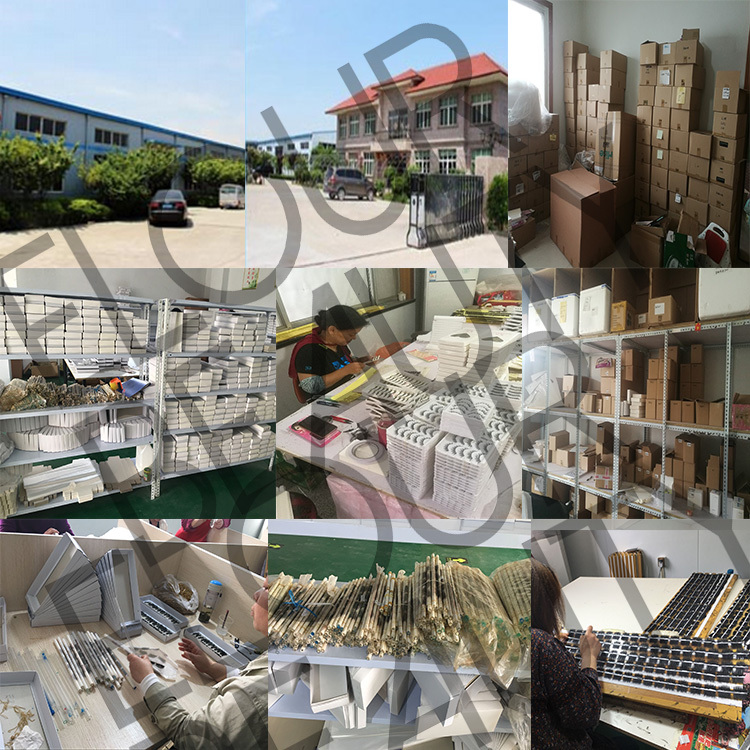 12lines per box,do your private logo cards,the high quality cashmere ellipse flat eyelashes extensions,China factory wholesale. 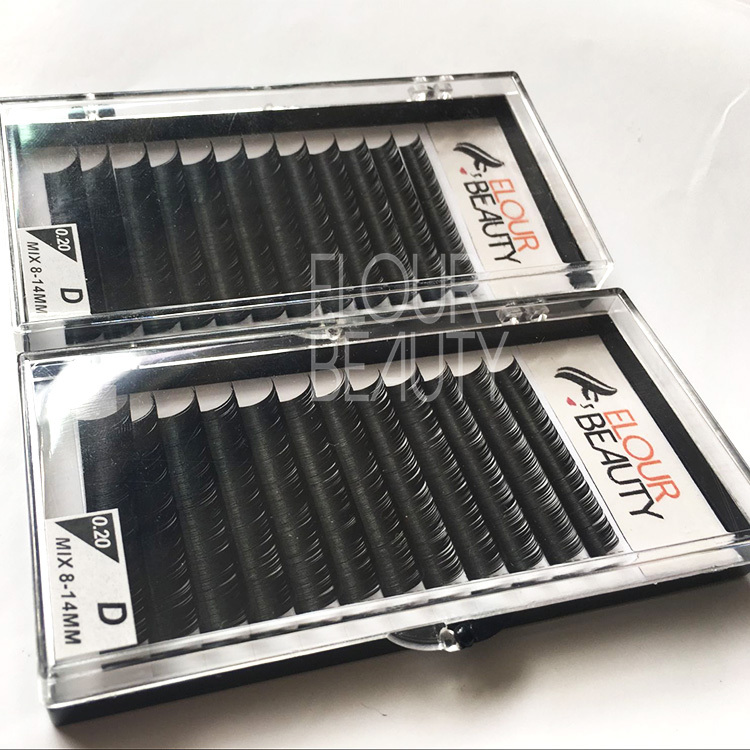 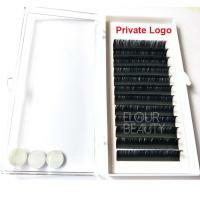 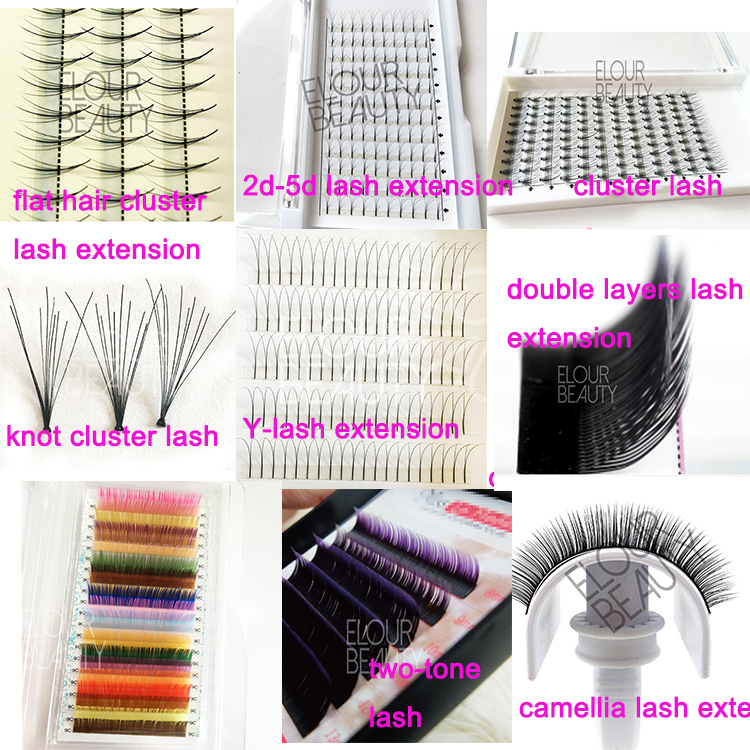 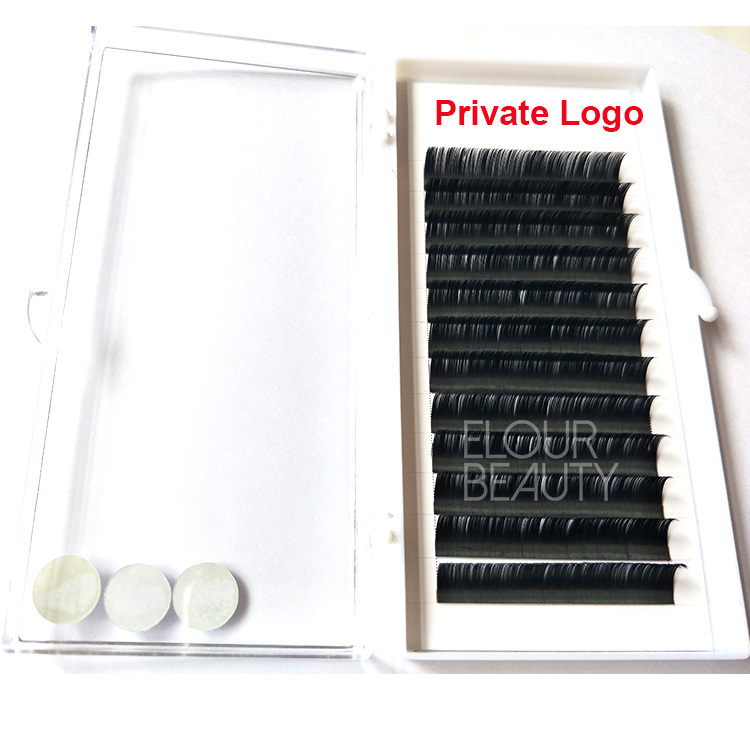 Each lash box is so neat,and standard curl,double tip for each hair,full set ,flat lashes extensions,Elour China lash manufacturer.